Happy birthday Mr Mackintosh! 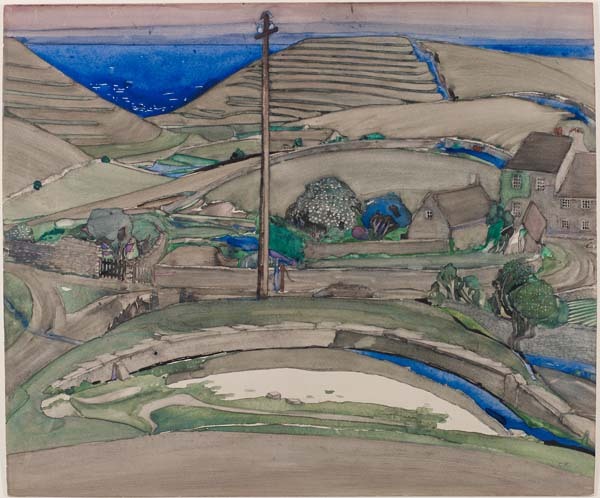 Today we celebrate 150 years since this leading Art Nouveau architect, artist and designer was born. The city will continue to bustle with “Toshy” themed events over the coming months so keep your eyes peeled, particularly around the time of the Mackintosh Festival in October. The Archives and Collections have been getting involved in the celebrations, contributing to activities such as creating a pop-up display of Mackintosh material in GSA Library and lending some key pieces from our collection to Kelvingrove’s Charles Rennie Mackintosh Making the Glasgow Style. You may have also seen our social media campaign #MackMondays on Twitter, where we have been sharing examples of Mackintosh work from different stages in his career. 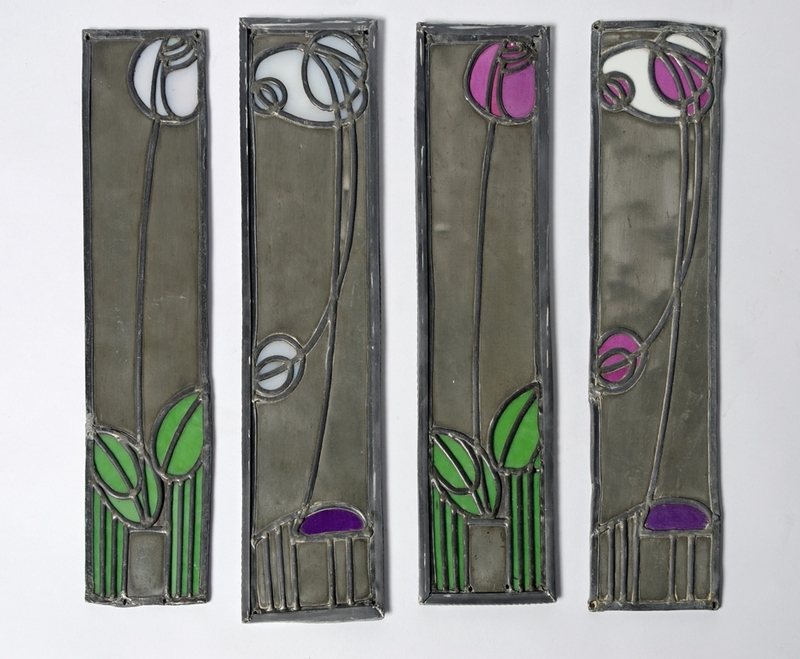 We thought we’d culminate our favourites for you in this Top Ten Mackintosh Masterpieces. Click on a tile and match the number with the information below – enjoy! 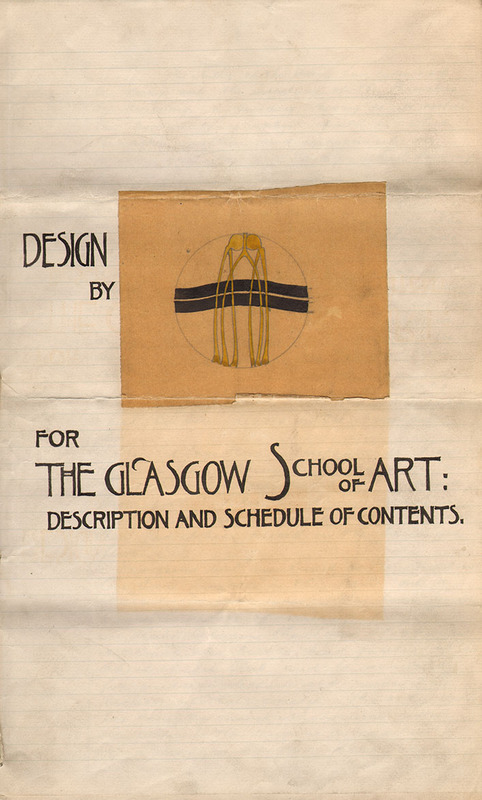 This piece was produced as part of publication “The Magazine” which Mackintosh created along with his fellow GSA students between 1894 and 1896 (four volumes in total). 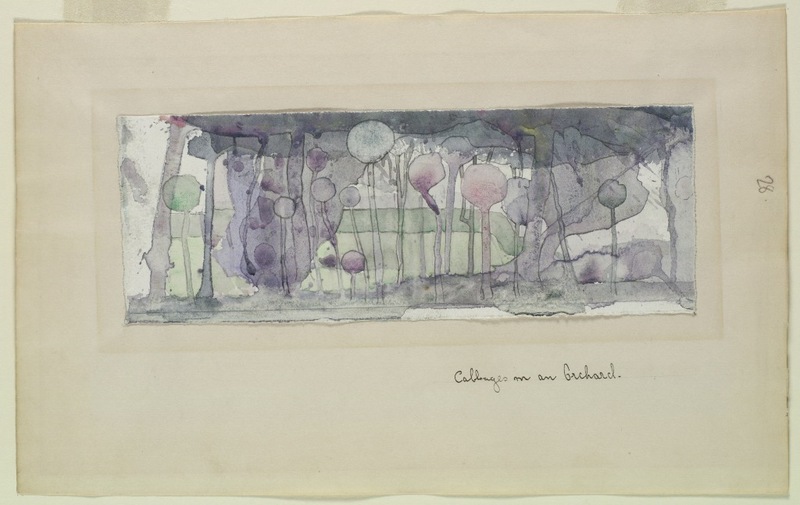 The long text by Mackintosh which accompanies this watercolour suggests that he had already encountered public hostility to his work, possibly even from fellow students who possibly didn’t understand it. 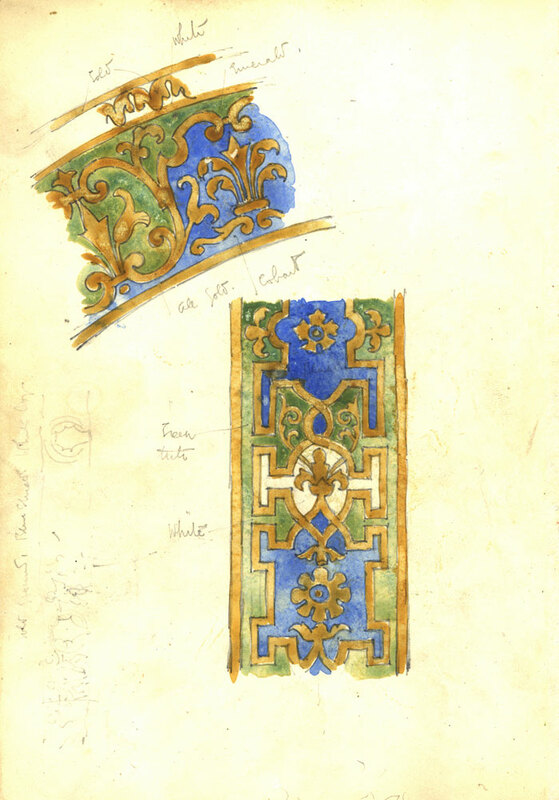 In 1890, Mackintosh was awarded the Alexander “Greek” Thomson travelling scholarship prize money with which he travelled to Italy the following year. The sketchbook contains drawings from the later part of Mackintosh’s tour, from 10th June, mostly of architectural and sculptural details. The drawings themselves are almost all pencil sketches, some of which are now quite faint. 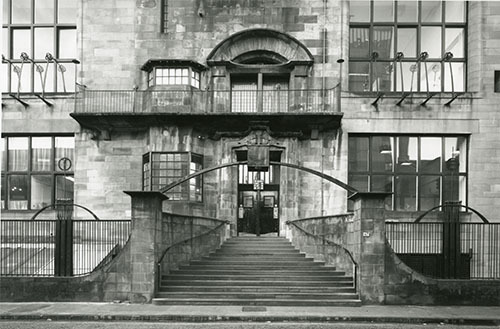 In 1896 Mackintosh gained his most substantial commission, to design a new building for The Glasgow School of Art. This was to be his masterwork. Significantly, the building was constructed in two distinct phases, 1897-99 and 1907-09, due to a lack of money. Stylistically, the substantial delay in completion offered Mackintosh the opportunity to amend and fully integrate his original design. 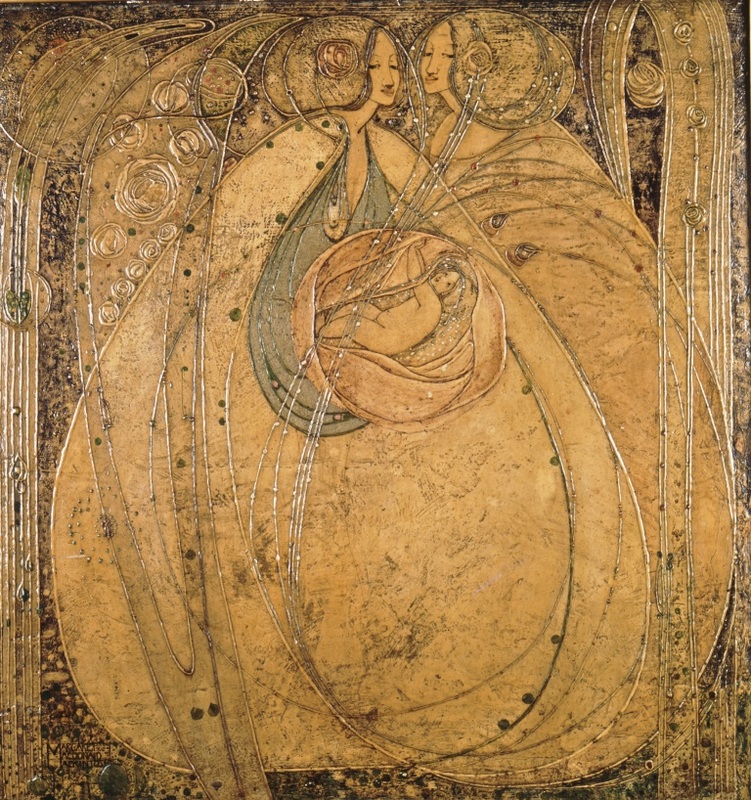 Charles Rennie Mackintosh married Margaret Macdonald in 1900. Around this period, both began getting recognition across Europe and they participated in a number of international exhibitions. They collaborated on many interiors together for these, including the Rose Boudoir at the Turin exhibition in 1902 for which both artists made these different styled panels. Visit the Archives and Collections to learn more about this exhibition from our collection of Ephemera (GSAA/EPH/8). 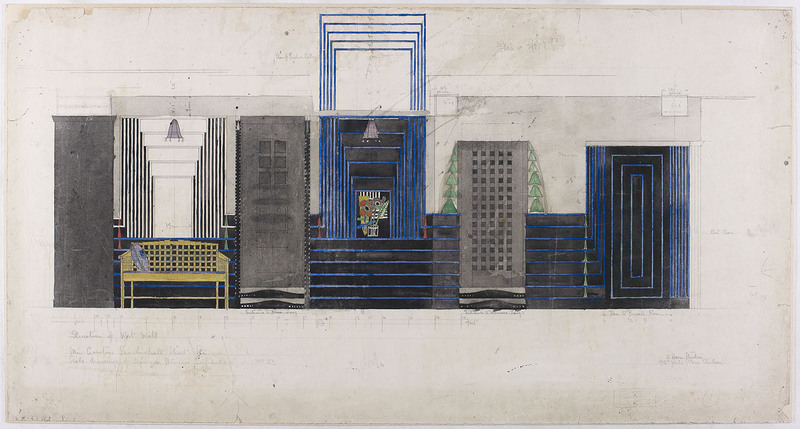 This design is one of Mackintosh’s submission drawings for what we now know as House for an Art Lover. In 1901, German Magazine Zeitschrift fur Innen-Dekoration organised an international competition for the design of an Art Lover’s House. 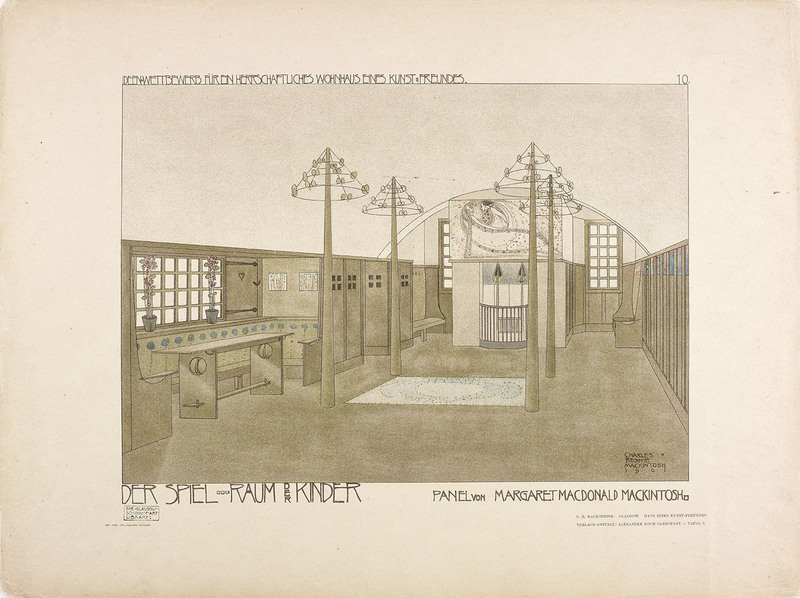 Mackintosh’s entry was disqualified as his interior drawings were not finished in time for the competition deadline, but when they arrived he was awarded a special purchase prize of 600 marks by the publishers. The house remained only an idea on paper for more than 80 years until, in 1989, Graham Roxburgh, the Consulting Engineer responsible for restoring Mackintosh interiors in nearby Craigie Hall, decided to finally build it. It can now be visited in Glasgow’s Bellahouston Park. As well as interiors, Mackintosh also designed many furniture pieces. 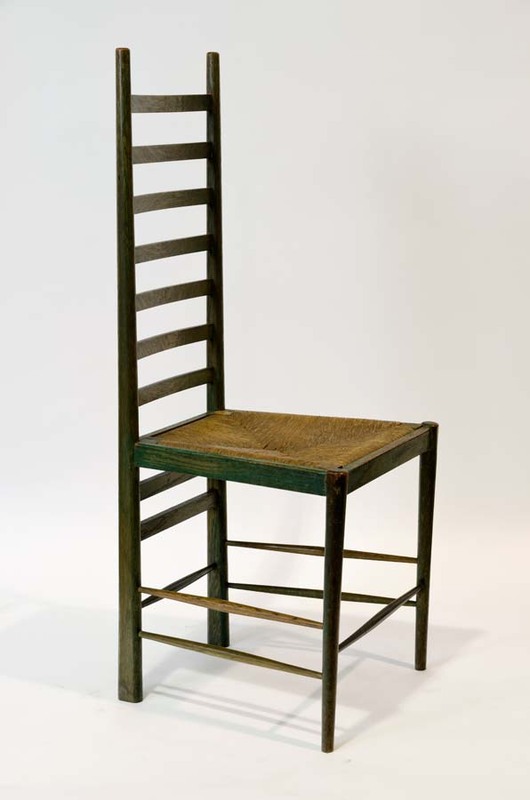 This chair was designed for Windyhill, Kilmacolm, a house commissioned by William Davidson to be designed by Mackintosh and furnished by him and his wife Margaret. Mackintosh’s list of objects sent to the Turin exhibition mentioned earlier includes ‘two small green chairs’ which were not sold and so returned to Glasgow. This chair is thought to be one of them. Mackintosh’s interior design touches could even be seen in The Glasgow School of Art Library lights. There were thought to be 53 individual light canisters, each with punched holes to allow light to pass through coloured glass – beautiful! 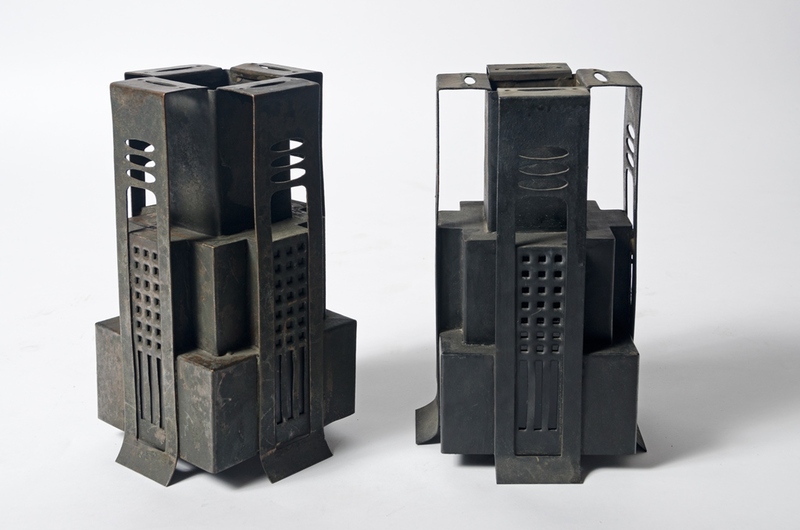 Although the library was destroyed in the fire in the Mackintosh building in 2014, many metal fragments from the lights were salvaged. One of Mackintosh’s main patrons was Glasgow business woman Catherine Cranston. She proved to be one of his most influential patrons and her series of tearoom interiors provided him with a virtual freedom to experiment. The Dug-Out was opened by Miss Cranston in the basement of the Willow Tea Rooms in 1917 during the Great European War between the Allied Nations and the Central Powers. It was Mackintosh’s last work in Glasgow, designed while he was living in London. 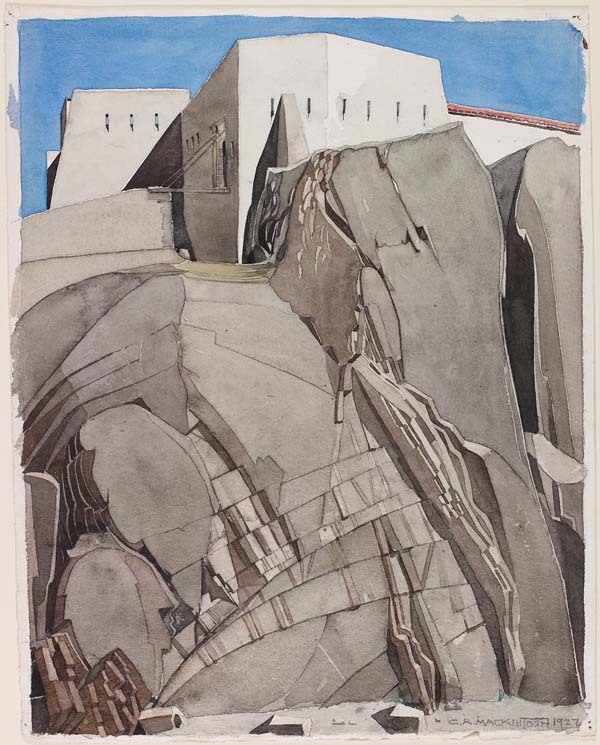 A move to the South of France in 1923 signalled the end of Mackintosh’s three-dimensional career and the last years of his life were spent painting. This one titled “Le Fort Mailly” was one of his last paintings. He died on 10th of December 1928, leaving behind a legacy of work that eventually earned him great recognition around the world.